Insitu unveiled an improved version of its widely used ScanEagle small unmanned aircraft system (UAS) at the Euronaval 2014 conference and exhibition in Paris on October 29. The “ScanEagle 2” increases the aircraft’s payload power and payload options and comes with an improved, fully digital video system and a new engine. 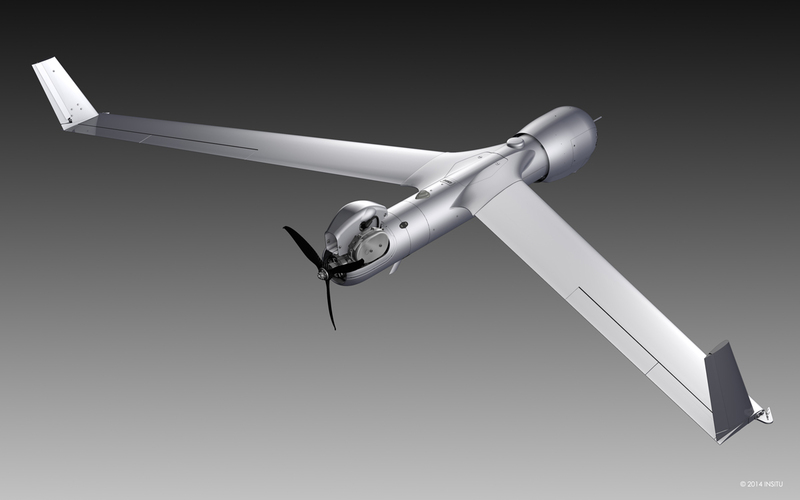 According to specifications the company released, the ScanEagle 2 has the same fuselage and wingspan dimensions as its predecessor but is about two pounds heavier. The empty weight of the ScanEagle 2 is 41.8 pounds compared with 39.7 pounds for the ScanEagle; its max takeoff weight is 51.8 pounds compared with48.5 pounds. Insitu reported endurance of 16 or more hours for the ScanEagle 2, whereas ScanEagle can stay aloft for 24 hours. The ScanEagle 2’s max payload capacity of 7.7 pounds is only slightly more, but its on-board payload power has increased from 60 W to 100 to 150 W based on engine variant. Insitu said it has reduced electronic magnetic interference of sensors, allowing for electronically sensitive payloads. Orbital Corporation of Balcatta, Australia, outside of Perth, designed the new engine in collaboration with Insitu and delivered the first engine last month. The companies say that it is the first reciprocating internal combustion engine system “engineered from the ground up for unmanned aerospace application.” Among advancements, the engine uses Orbital’s Argon engine control unit, which provides for real-time monitoring and diagnostics of critical systems and “black box” recording capability. The ScanEagle first saw action with the U.S. Marine Corps in Iraq in late 2004 and was then acquired by the U.S. Navy for shipboard operation. Ten world navies later adopted the system, which has logged more than 800,000 hours in operation, according to Insitu. The Boeing subsidiary also recently revealed that it is developing a growth variant of its larger Integrator UAS, which the U.S. Marine Corps has designated the RQ-21A Blackjack.